News provided by Saerom Cosmetics Co., Ltd.
Saerom Cosmetics PYEONAN Easy-to-Use Speedy Hair Dye solves troublesome premature greying of hair with 14 ingredients derived from nature. 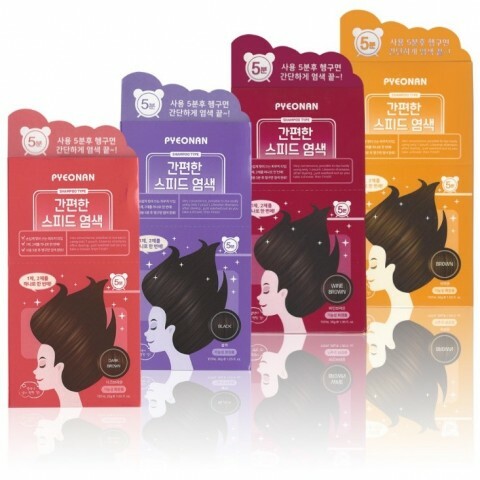 PYEONAN Easy-to-Use Speedy Hair Dye comes in 4 different colors including black, dark brown, brown and wine brown. SEOUL--(Korea Newswire) April 03, 2019 -- PYEONAN, a hair brand of Saerom Cosmetics Co., Ltd. that is dedicated to developing hair cosmetics in Korea, provides a solution for troublesome premature greying of hair with 14 ingredients derived from nature.